In the tech-driven 21st century, no company should be without an IT disaster recovery plan. The examples below show that clearly, no company is immune to such a disaster. 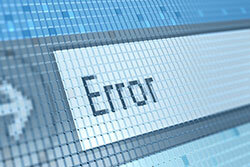 What’s more, while technology may be powerful, it is also fragile and one small error can have massive implications. The loss of money, customers and company reputation are just some of the things that come to mind. Keep reading for examples of companies in Australia and overseas that have suffered the wrath of an IT disaster. In 2013, the website of retail giant Myer crashed at the worst possible time – in the midst of Boxing Day sales. With as many as 7000 customers simultaneously accessing the sales at once, the site began to struggle. It was not a question of whether the servers could handle the amount of traffic, but rather a programming glitch that was affecting the site’s communication with its servers. This meant that many customers were left unable to complete their transactions and as a result, the store’s CEO ordered the site to be taken down. 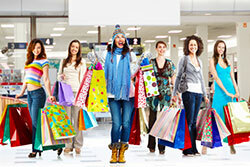 With IT staff stumped, myer.com.au was forced to remain offline for days, causing rival store David Jones to take advantage of the situation to the tune of a 100 per cent increase in online sales. In 2007, the Labor government contracted IBM Australia to create a new payroll system for Queensland Health. When the system finally went live in 2010, it was riddled with flaws, leaving thousands of staff underpaid, overpaid or not paid at all. It was estimated that the issue would take years to fix, and would cost the state of Queensland $1.25 billion. This resulted in the beginning of a long legal battle between Queensland Health and IBM Australia which is still yet to be resolved. Last Christmas saw a glitch in Amazon’s price comparison software that had customers making fervent purchases when thousands of products went on sale for 1p. Whilst Amazon was able to respond quickly, it was not before hundreds of thousands of pounds-worth of orders were dispatched from their warehouse. This caused many small businesses to face serious losses and even bankruptcy, as Amazon refused to offer them compensation. In 2012, a computer glitch nearly pushed US investment firm Knight Capital Group into bankruptcy. In the space of 30 minutes, the company’s trading algorithms were affected by a software bug that caused the company’s computers to buy high and sell low on almost 150 different stocks. By the time this had been corrected, Knight Capital had lost $440 million (four times their 2011 net income) and the company’s stock price had dropped by 62 per cent in just one day. 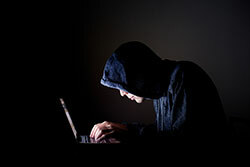 In 2014, hackers broke into the computer systems of Sony Pictures Entertainment. They stole large amounts of confidential data, which they proceeded to release over a number of weeks. The data included information about current and past Sony employees, information about executive salaries at the company, and copies of unreleased Sony films. The hack was extremely disruptive, as it forced Sony to deal with their computer systems being knocked out, as well as the immense fallout from the release of so much. This year power giant AusNet was forced to pay $28.75 million in compensation to hundreds of thousands of customers when it was found that many of their smart meters were malfunctioning. Attributed to an unstable IT system, it was found that almost half of AusNet’s Victorian smart meters were failing to remotely transmit electricity use data. This meant that 230 000 customers were missing out on services such as remote connection when moving house, and access to off-peak usage rates. As a result, the Victorian government ordered the company to pay affected customers a one-off $125 rebate. The company will also need to spend $175 million to fix the malfunctioning smart meters. Westpac Bank has been missing out on millions of dollars in interest income due an IT glitch preventing them from raising interest rates on investment loans. The bank has been unable to increase the interest rate for investment loans without also increasing the interest rate for owner-occupier loans, due to their previous decision to use a single reference rate for both owner-occupier and investor loans. According to the Australian Financial Review, this has been costing the bank $1 million per day in lost interest revenue. The bank will need to work with senior IT staff to re-code their system, costing still more money. Since the roll-out of the in 2014, the NSW state government has lost tens of millions of dollars in revenue due to failing card readers. 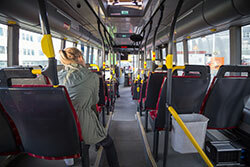 With software issues causing frequent card reader failures, countless customers have been travelling without paying. The estimated loss for NSW Transport thus far is over $50 million, based on public transport usage data over the past few years. Earlier this year, Commonwealth Bank customers were left stranded without funds. A widespread technical outage meant that services such as internet banking, EFTPOS, ATMs and credit cards could not be accessed. Many customers were left stranded at petrol stations, supermarkets and cafes, unable to pay for their goods. This in turn led them to flock to social media in an angry tirade. With the bank also suffering a recent mishap in which customers were being double-charged for their credit and debit purchases, this issue only served to further discredit Commonwealth Bank in the eyes of customers. Not long after US website healthcare.gov was launched in 2013, visitors began to experience a range of technical issues. These issues prevented visitors from enrolling in healthcare, with only an estimated 1 per cent of applications going through in the first week of the site’s operation. Even the applications that went through however, were riddled with errors that were caused by the website. It was concluded that the mishap was a result of and systems design issues, which the site continues to struggle with today, causing frustration among users and regular criticism in the media. The examples given above show that any organisation, no matter their size or technical ability, can suffer IT disasters. As such, it is of utmost importance that every organisation has a robust disaster recovery plan in place. 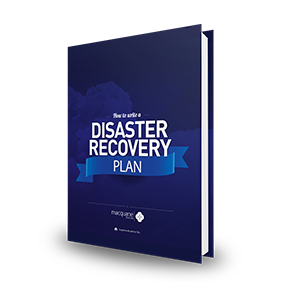 To help you do so, we’ve developed a free ebook called “How to Write a Disaster Recovery Plan”.